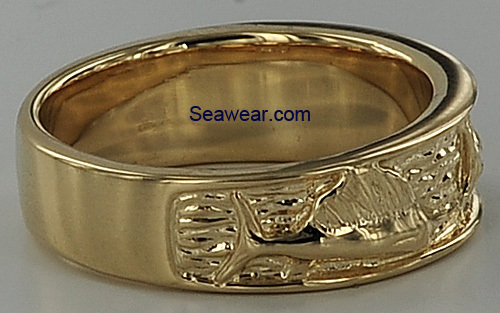 Triple sailfish wedding band. One color. Sailfish and band are cast as one. Solid, thick heavy, high polish. In stock size 9.5 for immediate angler delivery. 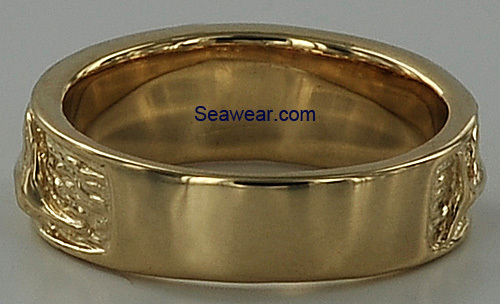 Sizing bar in back for your jeweler to size to any size you require. 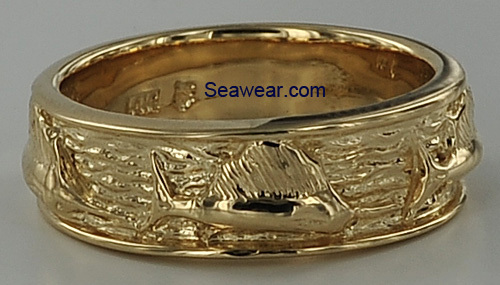 Approximately 10.2 gms 14kt gold. 7mm in the front tapers to 6mm in the back. 3mm thick in the front tapering to 1.5mm in the back.